We began round two with a rather less exciting vote than we've seen previously, but that is all about the change. We've got two very popular characters going head to head today, and I can anticipate a lot of people struggling with the decision on who to vote for. Stand up Rubens Barrichello and Jenson Button. Barrichello faced off fellow Brazilian Lucas di Grassi in the first round but he did it with ease - getting over 100 votes more than the rookie Virgin Racing driver. Heading into the battle against his former teammate at Brawn GP, he'll want to do well and win to make up for the fact that he lost the championship to the British driver. Jenson also walked through his first round matchup easily, with the competition against Sutil not standing up to his might. He also won with more than 100 votes as a margin, and that set up this meeting with Rubens. 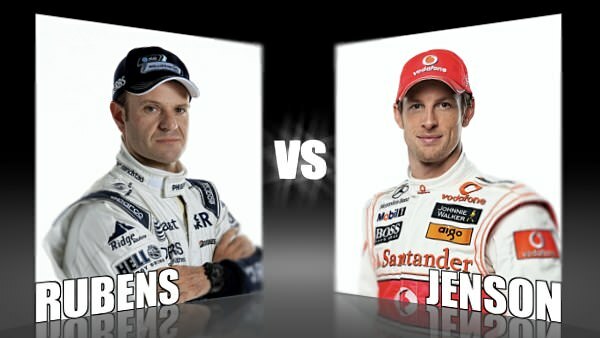 More people voted on the Barrichello matchup, meaning Rubens secured more votes than Jenson did in his. Will that make any difference today?